Don’t just say the words, feel them! Learn deep, kabbalistic meditations in the Kabbalat Shabbat service. Pray to a combination of joyous and soulful meolodies. Take time to reflect and connect to yourself and G-d. No experience neccessary. Let the good times roll! Dine on traditional and daring versions of challah, fish, salads, soups, chicken, kugels, and desserts- all homemade and outrageuosly delicious. Great food,good friends, spirited songs and lively discussion make this event a feast for your body, heart and soul. Regardless of how you come, on your own or with a group of friends, you will be greeeted warmly and feel right at home. Feel the stress and hassles of the week melt away as you turn Friday night into Shabbat with Chabad. Top off the experience with this lively and stimulating get together- chassidic style. Now is the time for questions, comments, songs, stories, and anything you else you feel like doing and sharing. For a current schedule of services, contact the director for Jewish Life on campus, Ari Dubin, at 343-1953. A half-hour of guided meditation and a half-hour Dharma talk led by Gordan Peerman from Vanderbilt’s Center for Integrative Health. New participants are welcome. Please join us off-campus from 7-8:30pm (in an actual home!) for a time of singing, prayer, and fellowship. We meet at the home of the Camp’s, 2107 Hampton Ave, not far from Vanderbilt. Every Thursday at 4 pm we meet on the steps of Benton Chapel and go inside to pray. Praying together doesn’t mean you have to “be good at prayer” or have the perfect words. 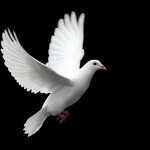 This is a time for us to offer up our requests and praises together to the Lord, and also to learn more about prayer. 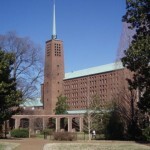 Benton Chapel is located by Main Library in the Divintiy School. 7:30 PM – . 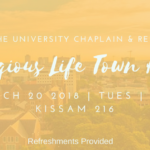 We meet in the Fireside Lounge at the Office of the University Chaplain and Religious Life for Bible study, discussion, and prayer. Fridays @ 10:35am. We meet in All Faith Chapel for a brief service of Holy Communion. During the academic year, the Community Partnership House Annex is available for Muslim prayer between the hours of 11 AM through 5 PM, Monday-Friday. Hours are extended during the month of Ramadan. 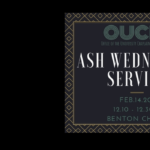 Worship services are open to the community at various locations including Benton Chapel in the Divinity School quadrangle, where interdenominational and some denominational services are held.